Exhausted after the tumult of the Pullman Strike of 1894, Emily Cabot is looking forward to a restful summer visit to Cape Cod. She has plans to collect "beasties" for the Marine Biological Laboratory, alongside other visiting scientists from the University of Chicago. She also hopes to enjoy romantic clambakes with Dr. Stephen Chapman, although they must keep an important secret from their friends. But her summer takes a dramatic turn when she finds a dead man floating in a fish tank. In order to solve his murder she must first deal with dueling scientists, a testy local sheriff, the theft of a fortune, and uncooperative weather. 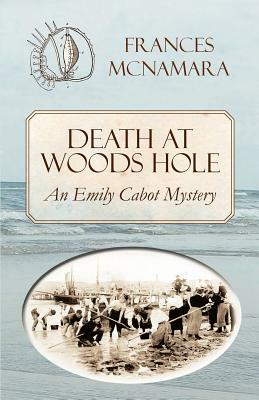 This fourth book in the Emily Cabot Mysteries series will continue to delight history buffs and mystery lovers alike.